With the Humble 2K Bundle only just behind us, Square Enix is now getting in on the cheap games and charity action with the Humble Square Enix Bundle. Some cracking games, like Thief and the woefully under appreciated Anachronox – which is, incidentally, one of the titles in our 15 best RPGs on PC – are up for grabs. The charities being supported by this bundle are GameAid and Make a Wish. Though I’m not sure anyone would want Daikatana, even if it is for charity. Pay anything and you’ll get codes for Thief Gold, Hitman, Hitman 2, Anachronox, Daikatana and Mini Ninjas. Four great games and some other stuff, then. Dropping more than the average, which is $8.12 at the moment, nets you Deus Ex: Invisible War, Deux Ex: The Fall, Hitman Absolution, the Veteran Pack for Nosgoth, Battlestations Midway and more games coming soon. The weakest Deus Ex games and the weakest Hitman game don’t make this particularly tempting, but it’s still dirt cheap and for charity. There’s a third tier, too. Pay more than 15 bucks and you’ll unlock Deus Ex: Human Revolution Director’s Cut, Just Cause 2, Lara Croft and the Guardian of Light, Deus Ex: GOTY Edition and Kane and Lynch 2: Dog Days. 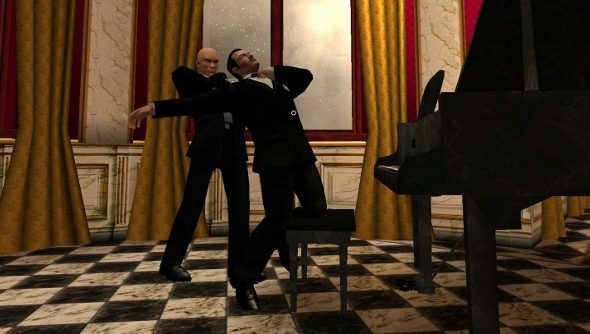 The lack of Hitman: Blood Money is a shame, but I suspect it will be one of the “coming soon” games. Anyway, that’s 16 games for $15, which is not bad at all. Tempted to grab it?